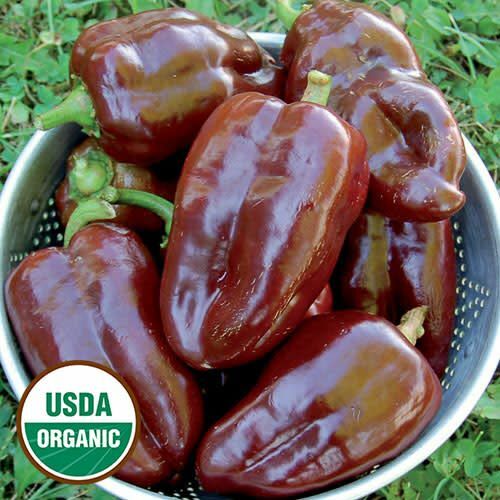 (aka Choco) Early bell pepper bred by Elwyn Meader and introduced by the University of New Hampshire Agricultural Experiment Station in 1965. Ripens from green to chocolate on the outside and brick red inside. Thick sweet flesh. Great for gardeners in short season areas. 60-85 days from transplant. Sweet.